Join Microsoft and partner IDEX to explore how Windows 10 IoT can help you quickly get an IoT solution up and running with a platform that spans cloud, OS and devices. Receive actionable insights into how any company – regardless of size, technical expertise, budget or industry – can create trusted, connected solutions that improve business and customer experiences. 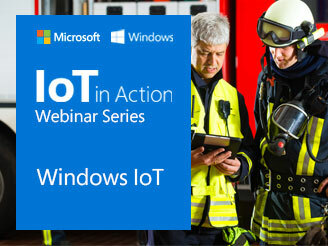 It is a valuable opportunity for business and technical decision makers to see how others are using Windows 10 IoT in real-world scenarios to transform their business, as well as hear their recommendations and best practices for successfully leveraging the platform.